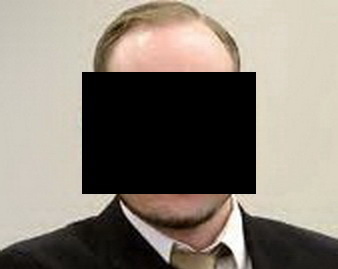 A face stares out from my PC screen: a suited-up man about 30yrs old, the boyish face round, the hairline receding. I see a clean face, but for the sparing outline of a beard. I see a thin mouth, the eyes narrowed and slightly turned, the face of a man who killed eight people by wrecking an Oslo building with a fertiliser bomb; before systematically hunting down and killing another 69 at a summer youth camp. His beaming face is here, there and everywhere, the trial lengthy. I’m tired of the casual disregard for life. Two young brothers explode pipe bombs among a crowd of onlookers at the finish line of the Boston Marathon, killing three people and wounding over 260. The younger of the two is captured and arrested, a handsome kid of barely 20yrs old and hardly shaving. The pale face has strong eyebrows and large brown eyes staring dreamily at the camera. There’s a Beatlish mop of brown hair and the slightest of self-conscious smiles. I’m tired of the perversion of innocence. This morning the newspaper lay silent on the kitchen table, the front page picture screaming out a message. Two young men, run down, stab and hack to death a solitary off-duty soldier on a busy London street; the picture of a wild face shouting out from beneath a woollen beanie, eyes and mouth wide open. I’m tired of wars, the radicals, the crazed and the losers, the street theatre and circus; I’m tired of the macabre parade, the narcissistic, publicity-hunting of nobodies. I’m tired of the faces, the falsified fame. I join you in your weariness, and seeing the faces of those caught in the violence. Tired. Thank you for this post, Ian. The Woolwich murder was a horrific act that mainly seems to have been committed to get a couple of hateful young men their 15 minutes of fame. A few days later an Asian shopkeeper in my part of the world got battered in retaliation. We shouldn’t be doing this crap to each other. Very sad to hear that update BigD. Remember the despicable Martin Bryant in Tasmania, way back in 1996? He had the same look on his face that you refer to – young, still not mature, determined, with a mission! I vividly recall that look. & visiting Port Arthur more recently – a `house of horrors’ on the best of days – was acutely aware of Bryant’s Australian legacy… 35 dead & 23 wounded. You hit the nail on the head there Ian, (far more poetically than I could manage) and the responses to my latest post on the same incident – and the atrocious lengths to which some people will go to further their own divisive agendas on the back of it – just go to show what an emotive subject this has become. If we, as bloggers, have any useful function in society, then it’s to continue to bring this type of terrible event into forums that allow intelligent debate. Only in this way can we fight the rise in hate and ignorance that blights our world. Thanks for the encouragement Dale. I did struggle for most of the day to try & think of something `appropriate’ to say under such circumstances. reminds me years ago in USA a BTK (bind, torture, kill) serial killer was arrested only because he played with police and he let them caught him after he had killed many people for 30 years. And the reason he let police got him was because he knew he would be “famous” by doing so. and the medias did exactly things he wanted! Very sad Yun Yi. What a shocking loss of life; & all those broken hearts! You have summed it up cogently, Ian. It is ‘the macabre parade, the narcissistic, publicity-hunting of nobodies’. Anything else defies reason. Morlocks are already here! It is difficult to know where we go from here. It’s nothing new, Ian. History is nothing but the celebration of felons and thugs. The glorification of violence. Anyone who reads a history book or opens a newspaper buys into this promotion of horror and is forced to wallow in it. It does seem so, with some high circulation newspapers/media even worse than the majority. A very poignant post, Ian. Well articulated. A lot of us are tired of the media forcing the names of the villains down our throat, making us forget the names of the victims. These people are placed on a perverted pedestal and we dehumanize the victims to mere numbers and statistics. That, I think, is one of the most tragic aspect of any of these tragedies. It is indeed a tragedy; & a terrible feeling to know these people do not represent humanity, & yet we feel so helpless. It does unfortunately seem Warhol’s floodgates of publicity have been well-&-truly opened. The world appears to be these people’s stage.